Steel is both the most widely used and most recycled metal material on earth. 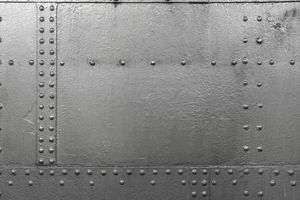 From stainless and high-temperature steels to flat carbon products, steel in its various forms and alloys offer different properties to meet a wide range of applications. For these reasons, as well as the metal's combination of high strength and a relatively low production cost, steel is now used in countless products. The majority of steel goes to the construction industry. Sustainable steel structures can be built quickly at a low price. Steel, in its various forms and alloys, can be designed to meet the requirements of unique projects, which allow it to be incorporated into infrastructure in all environments. Depending on the conditions that the structure is exposed to, steel can be alloyed or surface treated differently for protection. The development of efficient steel production techniques at the end of the 20th century contributed to the growth of railways around the world as well as the advent of the high-rise building. Many famous historical structures, such as the Empire State Building, contain steel as a primary construction material. Engineering steels are wrought steels that are designed to have certain specific levels of elasticity, strength, ductility, and corrosion resistance. They are used in the general engineering and manufacturing sectors, but the bulk goes to transport vehicles. Steel accounts for over 50% the weight of an average car. Advanced high-strength steels (AHSS) are used in vehicles. It is a lightweight material that requires less energy to produce and reduces CO2 emissions. Different types of steel are used for the car body, doors, engine, gearbox, steering, suspension, wheel axles, and interior. All segments of the energy sector, including nuclear, wind power, electric and natural gas, demand steel for infrastructure. Steel is also used for resource extraction, such as in offshore platforms, earth-moving and quarrying equipment, cranes, and forklifts. Due to the demanding environments, carbon, micro-alloyed, high strength and stainless steels are all used in the production of offshore platforms and pipelines. Steel packaging protects goods from water, air, and light exposure, and is fully recyclable. This method of storage has been around for over 200 years. Steel allows for high-speed filling and lightweight, easy to open packaging. Packaging steels are often made from low carbon cold-rolled steel strip and are surface finished. The steel is tin plated to prevent corrosion and then coated with a polymer, lacquered, and printed. The majority of steel packaging goes towards food and beverage container, followed by a general line, aerosols, and closures (e.g., bottle caps). About 75% of the weight of typical household appliances comes from steel. Steel is found in appliances like fridges, washing machines, ovens, microwaves, sinks, cutlery, etc. Steel also accounts for many industrial goods like farm vehicles and machinery, storage tanks, tools, structures, walkways, and protective equipment. The American Iron and Steel Institute. Steelworks: the Online Resource for Steel.